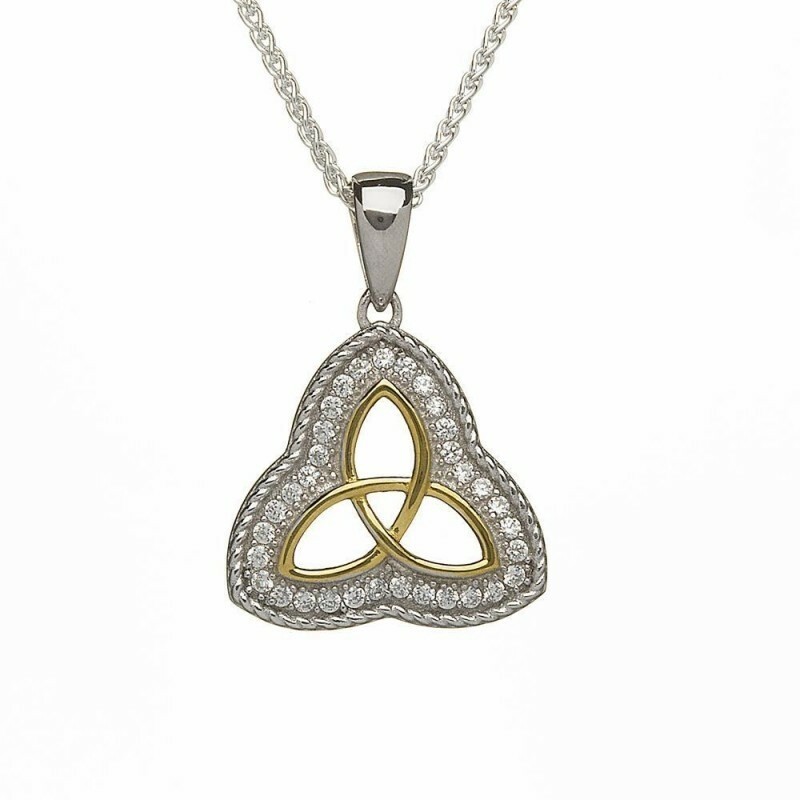 This sterling silver Irish Trinity Knot pendant has a rope edge and is set with clear cz stones. The open work Trinity Knot is gold plated and the Irish pendant comes with an 18" sterling silver chain. This Irish necklace is handcrafted in Ireland and comes gift boxed. Matching Trinity Knot Irish earrings available. Height: 18mm (exc. bail) approx.